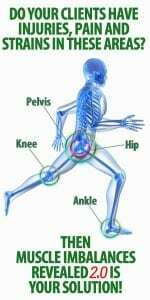 The knee contains four bones: the lower end of the femur (thigh bone); the upper end of the tibia or shinbone (the thick, medial bone of the lower leg); the upper end of the fibula (the slender, lateral bone of the lower leg); and the patella (kneecap). The lower end of the femur has a curved articular (joint) surface that is shaped somewhat like a horseshoe. The "bend" of the horseshoe is at the front of the femur; the two "ends" of the horseshoe extend backward, and are called the medial and lateral femoral condyles (Figure 29). The upper end of the tibia has two flat, oval-shaped articular surfaces, the medial and lateral tibial condyles. The femoral and tibial condyles articulate with each other, forming the femorotibial joint. This joint flexes (bends) and extends (straightens) the knee. Because the articular surfaces are somewhat asymmetrical, the knee also rotates slightly during flexion and extension. The medial and lateral menisci (singular, meniscus) or semilunar cartilages are two crescent-shaped pads of cartilage, interposed between the femoral and tibial condyles. Resting on the flat tibial condyles, the menisci form a concave surface to receive the femoral condyles. This arrangement distributes weight more evenly over the joint surface, minimizing wear and tear. It also helps stabilize the joint by blocking abnormal movement (e.g., excessive rotation) between the tibia and femur. The patella is a flat, oval/triangular bone which lies in front of the lower end of the femur. It is actually embedded within the quadriceps tendon (the lower end of which is called the patellar tendon or patellar ligament). The patella articulates with the femur's patellar surface (the "bend" of the horseshoe) to form the patellofemoral joint. This joint allows the patella to glide over the surface of the femur as the knee flexes and extends. The upper end or head of the fibula (unlike the tibia) does not adjoin the femur. It articulates with the lateral side of the tibia, just below the lateral tibial condyle. This tibiofibular joint allows only slight movement. The knee joint is enclosed by a fibrous joint capsule, lined by a synovial membrane. The synovial membrane secretes a fluid (synovial fluid) which lubricates the joint. The space inside the synovial membrane is called the joint cavity. Both the femorotibial and patellofemoral joints are incorporated within the same joint cavity. (The tibiofibular joint has its own separate joint cavity.) In addition, the synovial sac extends upward between the quadriceps tendon and the front of the femur to form the suprapatellar pouch. In addition to the joint cavity, in the region of the knee there are numerous smaller synovial sacs called bursae (singular, bursa) (Figure 28). Bursae act as cushions between tendon and bone, ligament and bone, or skin and bone, wherever friction is likely to occur in the vicinity of a joint. The suprapatellar pouch is sometimes referred to as a bursa, although it is continuous with the joint cavity. Not counting the suprapatellar pouch, there are three bursae in the front of the knee, the largest of which is the prepatellar bursa (located in front of the patella, just under the skin). In addition, there are six bursae in back of the knee. Inflammation of a bursa (bursitis) may be caused by either disease or trauma. "Housemaid's knee" is a common name for prepatellar bursitis. The bones of the knee are bound together by strong bands of fibrous tissue called ligaments (Figure 29). On the medial side, connecting the femur and tibia, is the medial (tibial) collateral ligament. On the lateral side, connecting the femur and fibula, is the lateral (fibular) collateral ligament. The two collateral ligaments are located outside the joint cavity. In addition, there are two ligaments that pass through the interior of the joint cavity, the anterior and posterior cruciate ligaments (from the Latin word crux, a cross). The anterior cruciate connects the front of the tibia to the back of the lateral femoral condyle. The posterior cruciate connects the back of the tibia to the front of the medial femoral condyle. The cruciate ligaments are so named because they cross each other inside the joint cavity. The collateral ligaments give the knee side-to-side stability. The cruciate ligaments provide forward-backward stability. Severe sprains of the knee (complete ligament tears) may result in an unstable knee joint, particularly if two or more ligaments are torn. Torn ligaments are often associated with meniscus injuries (see Meniscus Disorders), fracture, and/or dislocation of the knee. The hollow behind the knee is called the popliteal fossa. The large blood vessels of the leg, the popliteal artery and vein, course downward through the popliteal fossa on their way to the lower leg. The tibial nerve (a branch of the sciatic nerve) runs alongside the popliteal vessels. The common peroneal nerve (another branch of the sciatic) courses downward and laterally across the popliteal fossa, winding around the head of the fibula on the lateral side of the knee. These blood vessels and nerves may be injured by fractures and dislocations of the knee.